This year’s IBMA awards belonged to Michael Cleveland & Flamekeeper, who picked up five trophies, but last year’s champs Dailey & Vincent snagged the biggest prizes of all. Cleveland and company won the Instrumental Group, Instrumental Performance and the Fiddler, Bass Player and Mandolin Player of the Year awards. 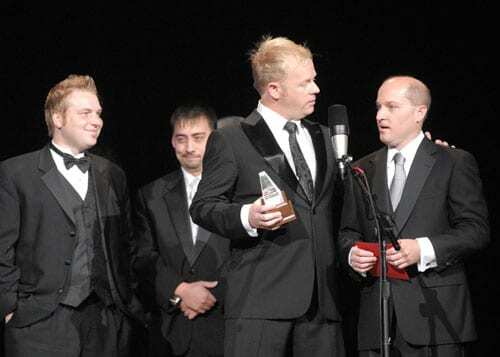 Dailey & Vincent triumphed as the Entertainers of the Year, as well as winning the Vocal Group of the Year and the Gospel Recorded Performance honors. But the 20th anniversary of these bluegrass awards, staged Thursday (10/1) at the Ryman Auditorium, wasn’t really about who won or lost. It was about outstanding music. For those of you who gripe about the lack of true “country” in today’s country music, I hereby direct your attention to the world of bluegrass. The event featured stunning performances by The Lonesome River Band, Russell Moore & IIIrd Tyme Out, The Dan Tyminski Band and more. Kathy Mattea and Hot Rize co-hosted, drawing from a usually witty script and interspersed with appearances by the band’s honky-tonk alter ego Red Knuckles & The Trailblazers. Presenters included Dixie & Tom T. Hall, Andy Leftwich, Cia Cherryholmes, Claire Lynch, Ronnie Bowman, Alecia Nugent, Chris & Sally Jones and Ricky Skaggs & Sharon White. 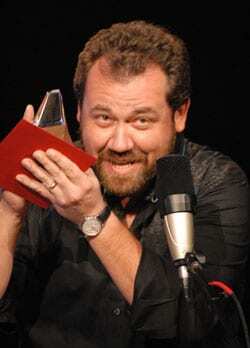 “I don’t have much voice this week,” whispered Tyminski when he was ironically named Male Vocalist. When he also won Album of the Year, presenters Sam Bush and Jerry Douglas humorously spoke for him while he moved his lips. Female Vocalist winner Dale Ann Bradley turned Tom Petty’s “I Won’t Back Down” into a bluegrass romp. 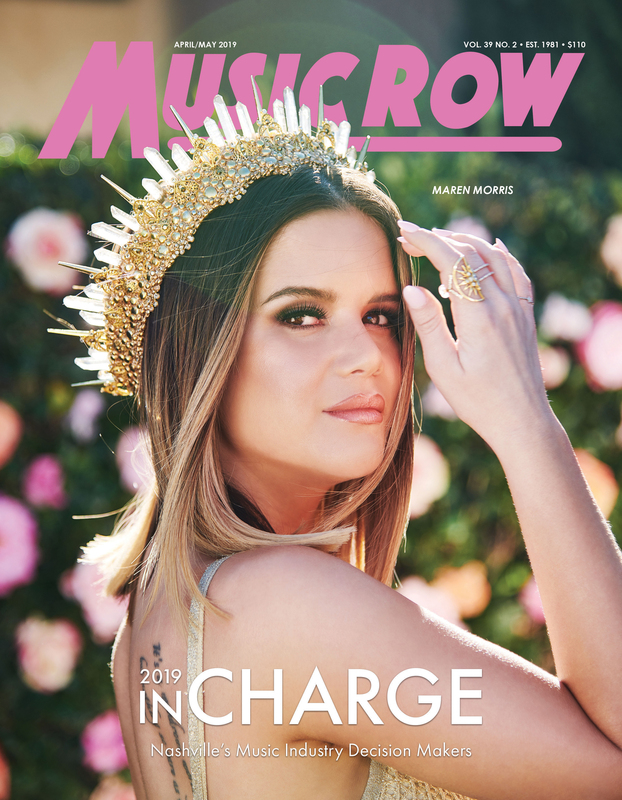 In a nice twist of fate, her honor was presented to her by her producer, Alison Brown. They hugged. “This is one of the greatest thrills of my life, to be here tonight,” said Steve Martin. He meant it. And he was wildly cheered by the capacity audience, for his The Crow CD has dramatically raised bluegrass music’s profile. In addition to presenting, Martin performed with The Steep Canyon Rangers. His CD won awards for liner notes and artwork. When Jamie Dailey & Darrin Vincent won for their gospel performance of “On the Other Side,” they called songwriters Jimmy Fortune, Kevin Denney and Tom Botkin to the stage. “This is killer, right here,” said Cleveland when his band won the Instrumental Performance award. During the evening the blind fiddler thanked his parents for transporting him to competitions and festivals. Doyle Lawson inducted The Lonesome Pine Fiddlers into the Bluegrass Hall of Fame. He noted that the group was founded by the late Ezra Cline in 1937 in West Virginia. “The group weathered a lot of personnel changes,” he noted, adding, “I wonder what that feels like.” Lawson’s Quicksilver has long had a rotating cast. Surviving Lonesome Pine members Melvin Goins, Paul Williams and Bobby Osborne accepted and got a standing ovation. One of the most interesting performances occurred when Danny Paisley & Southern Grass and Junior Sisk & Ramblers Choice took the stage together. Both were nominees as Male Vocalist and Emerging Artist. Each performed separately and then as a big, merged band. The Recorded Event trophy went to The Daughters of Bluegrass. There are 31 women on this record, and more than a dozen of them trouped to the stage to accept en masse. The packed-to-the-rafters crowd was notable for its whoops and hollers throughout the show. This was especially notable during the instrumental by Cleveland & Flamekeeper. “I think we have some of the best musicians in the world in this music,” said Rob Ickes in accepting his 11th consecutive Dobro Player of the Year IBMA honor. Amen to that, pal. Spotted in the admiring crowd were David Preston, David Crow, Dan Keen, Joey & Rory, Jerry Salley, Perry Howard, George Walker IV, Scotty Cline, Vernell Hackett, Stan Hitchcock, Keith Bilbrey, Lance Leroy, Lynn Robin Green and Carl Jackson. Bluegrass Broadcaster of the Year – Katy Daley; HD Radio WAMU 88.5 Channel 2, 105.5 FM & www.bluegrasscountry.org; Washington, D.C. 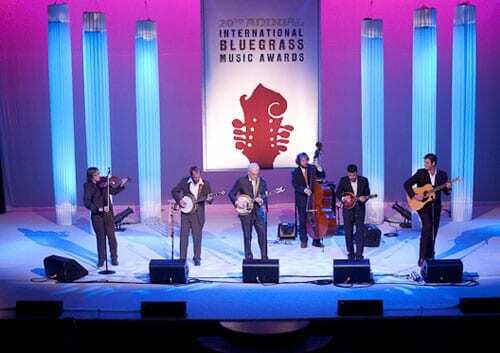 The International Bluegrass Music Awards are voted on by the professional membership of the International Bluegrass Music Association (IBMA), which serves as the trade association for the bluegrass music industry. 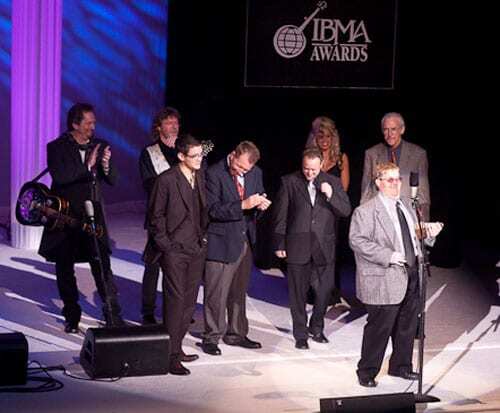 The IBMA Awards Show is the centerpiece of the World of Bluegrass week, including the industry’s Business Conference and Bluegrass Fan Fest, September 28 – October 4 in Nashville.